Featuring specially commissioned contributions from Marilynne Robinson, Christopher Hayes, Andrew Bacevich, Kai Wright, Joan Walsh, Eric Foner, and many, many more. New York, NY—December 15, 2016—As 2016 draws to a close and the specter of President Trump looms large, The Nation celebrates Barack Obama’s historic presidency with a special issue, “The Obama Years: 2008—2016.” (January 2/9, 2017, cover date, 84 pages, perfect bound, on stands later this month). 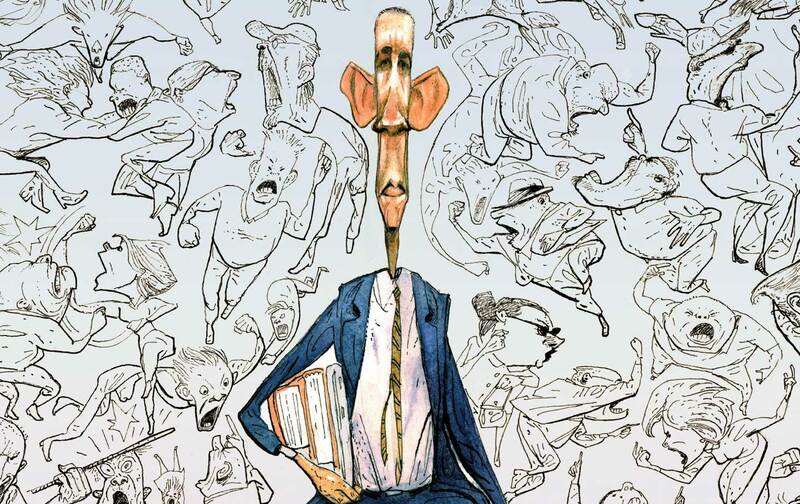 The magazine gathers some of the greatest American writers, thinkers, and historians to thoughtfully evaluate Obama’s legacy in the immediate—with an eye to those who would protect it, and those who would seek to destroy it. A stunning collection of contemporary contributors take a measure of this unprecedented cultural and political moment, assessing Obama’s record across the most pressing crises of our time: race, climate change, social justice, Republican obstructionism, media malpractice, economics, foreign relations, and more. “The achievements and complexities of President Obama’s tenure are many. The writers in our special issue dissect its significance, document American identity in the Age of Obama, and envision his political, social, and racial legacy in 20, 30 years—fearful of its evisceration by Donald Trump,” says editor and publisher Katrina vanden Heuvel. In the wake of the 2016 election’s results, The Nation magazine saw a record 660 percent jump in subscriptions and new traffic heights on TheNation.com. Our journalists, columnists, and editors remain committed to accountability journalism, essential commentary, and in-depth reporting well into the next presidency—moving past the horse race to take seriously outside voices and alternative perspectives in American politics, and to speak truth to power in this extraordinary new era. Select contributors available for interview. For booking requests or further information, please see contact information above. Christopher Hayes, How Will History Judge Barack Obama? The president’s insistence on thinking before acting drove the media around the bend… and towards Donald Trump. Bryce Covert and Mike Konczal, Obama Was Not an Economic Radical. Trump Will Be. Robert L. Borosage, Was Barack Obama a Transformational President? Joan Walsh, Which Way Does the Arc of Obama’s Moral Universe Bend? And we failed to see the storm clouds of 2016 gathering behind the first black president. Siva Vaidhyanathan, Was Obama Silicon Valley’s President?